“Light, Camera, Action” has a new meaning as students use quad copters, action cameras and cutting edge camera stabilization systems to get Hollywood style aerial shots. Rugged, waterproof cameras are taking students to the edge and then over! This site will explore the tools and techniques student filmmakers are using to get footage not possible a few years ago. We started the process of documenting the construction process by flying the drone to a series of preset points to get overall progress shots that will document both the construction process and any potential impacts on the surrounding wetlands. Then we drop down and shoot the interesting stuff: earth movers, backhoes, wood chippers and of course, dump trucks. 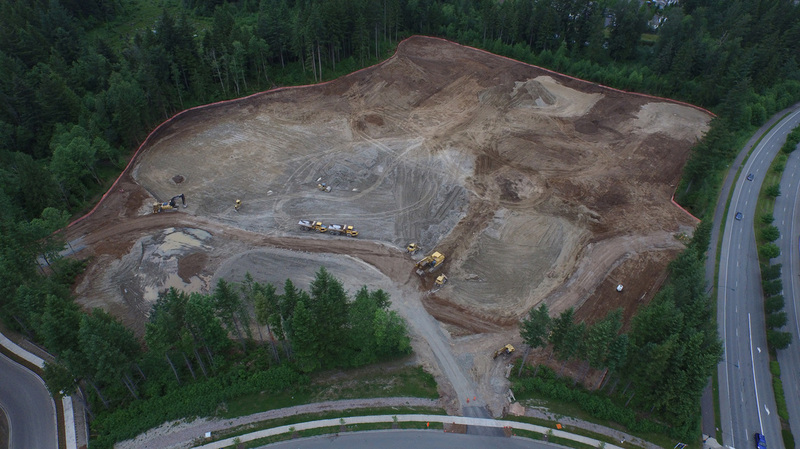 Each week we provide the district with a set of photographs and a 30-60 second highlight clips that shows the progress.